BUT, THERE'S ALWAYS NEXT YEAR! WE'D LOVE TO MEET YOU ANYWAY IF YOU'RE INTERESTED! Full-time seasonal worker (April-Nov) sought to participate in all aspects of growing high-quality vegetables using ecological practices for a 200-member CSA farm. You must seriously be considering a career in farming. You will not just be a "worker" on this farm, but will learn a variety of different farm skills as the summer progresses. Tasks include greenhouse production of transplants, application of soil amendments, transplanting, direct seeding, irrigation, row cover management, weeding, hoeing, thinning, mulching, harvesting, washing, CSA member distribution, mowing, cover crop management, and possible operation and maintenance of tractors and equipment (tillage, cultivation, loader work). Many of these tasks involve opportunities to learn a variety of farm skills, and thorough training will be provided. Advanced equipment training and management positions possible in future years. We work as a tight farm crew all summer, and communication and social skills are important in keeping everyone happy! It is important to remember that no matter how simple, tedious, or insignificant a task may seem, everything we do is critical to the overall success of the farm. Focus and concentration on tasks is crucial. Farming is production work, quite a bit different from home vegetable gardening. With hundreds of families depending on us for their weekly groceries, speed and efficiency matter a lot. Of course, while you are learning it will take a while to get up to pace, but by the end of the season you will be a pro! We expect you to have a true dedication to improving your skills on a personally competitive level, and being attentive to quality as well as speed. Every morning we will get together and prioritize tasks, so it is crucial that you are on time. We use custom computer spreadsheets for crop planning that determine our planting schedule. Farm crew members will be exposed to and expected to completely perform all farm operations. Ultimately, if you would like to manage your own farm someday, we can provide you with enough experience and what you need to know to get started. We want someone who has a passion for agriculture. You don’t necessarily have to have tons of farm experience, but you need to be seriously considering a career in farming. Love of physical labor is essential, as is a love of being outdoors in all kinds of weather. You should be the type of person who is always looking for a better way to get a job done. You must be kind, respectful, and empathetic of others. Finally, you should love to laugh and have fun! Farm work can be physically demanding, so only those who enjoy hard work need apply. However, many hands make light work and on most difficult tasks we will all be working together. The more initiative you take and interest you show the more responsibility you will be entrusted with. Wild Hill Farm is a CSA farm located in Ontario County, New York. We are a half hour’s drive from the city of Rochester, NY, and very close to the beautiful Finger Lakes region. CSA stands for Community Supported Agriculture, a mutually beneficial relationship between a farmer and local consumers. Members receive fresh produce weekly throughout the growing season in exchange for ensuring the farmer a living wage and providing for production costs up front. Everything at Wild Hill Farm is grown using chemical-free ecological practices, but we are not certified organic. 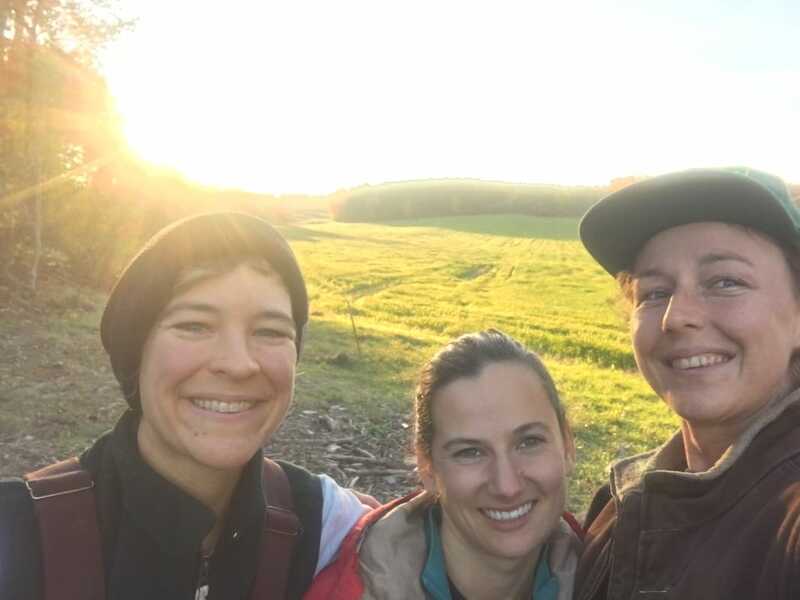 Farmer Erin Bullock has been making a living as a full-time farmer for 10 years, and Wild Hill Farm is her third start-up farm. In 2009 she founded Mud Creek Farm in Victor, NY, growing it to 250 CSA members over 5 years. It is still in operation, now owned and managed by Ruth Blackwell. In 2014 Erin started a farm program for the EquiCenter, a non-profit equestrian facility in Mendon, NY, working with Veterans and people with disabilities to grow food and participate in therapeutic horticulture. Wild Hill Farm, launched in spring 2016, is situated on 50 acres of prime sandy loam in the quaint rural hamlet of Ionia. 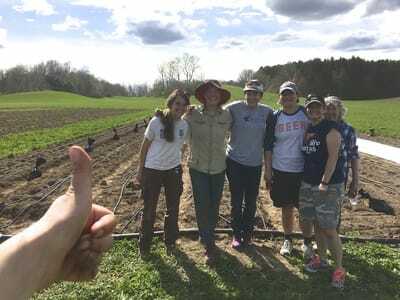 Vegetable farming plays an active role in the surrounding local economy, and crops like peaches, apples, asparagus, squash, cabbage, and sweet corn have been historically grown here for many generations. Traffic on our road daily includes tractors, 4-wheelers, and barn cats. The only amenities in our hamlet currently are a post office, a church, a mechanics shop, and a bicycle shop. (One day there will be more!) Travel 5 miles in almost any direction and you are in a small village: Honeoye Falls, Mendon, Victor, Bloomfield, or West Bloomfield, with grocery stores, restaurants, gas stations, and libraries. A half hour drive brings you to downtown Rochester, a city now bubbling with trendy new food establishments, arts, music, and summer festivals. Most of our CSA members drive to the farm from nearby villages and suburbs of Rochester. We are about to embark on our fourth season. We have a fantastic barn with a new walk-in cooler and wash station. We use about 5 acres to grow vegetables for our CSA, the rest of the acreage is in hay or cover crops. Berries, perennials, and fruit trees will be established in the next few years. Someday livestock may be rotationally grazed on the hills of the farm. Over a hundred acres of woods surround the farm, home to many deer, red-tail hawks, foxes, and coyotes. A neighbor’s small swimming pond is available for our use. Wild Hill Farm CSA is based on principles of strengthening local community around healthy food, and practicing sustainable and ecological farming. We use fresh and beautiful produce to begin the conversation with people about agriculture, the environment, and climate change, educating consumers about food production realities and exposing them to the interconnectedness and cruciality of our planet’s ecosystems. Our choices and our participation matter, and we use healthy farm food as a kind of “gateway” to helping people understand more deeply the environmental crisis we face. Many new CSA members are surprised at the unanticipated therapeutic and educational experiences their CSA farm offers them, for themselves and their families -- we say, “it’s about more than just the vegetables.” Some members feel that the best part of the Wild Hill Farm CSA experience is our U-Pick garden, a membership perk which includes pick-your-own flowers, herbs, cherry tomatoes, peas, beans, and more. We try to maintain our farm to be a beautiful and relaxing space, and we say “our garden is your garden.” People like to bring their children to U-Pick and volunteer on the farm as well. The farm is a friendly community gathering space. 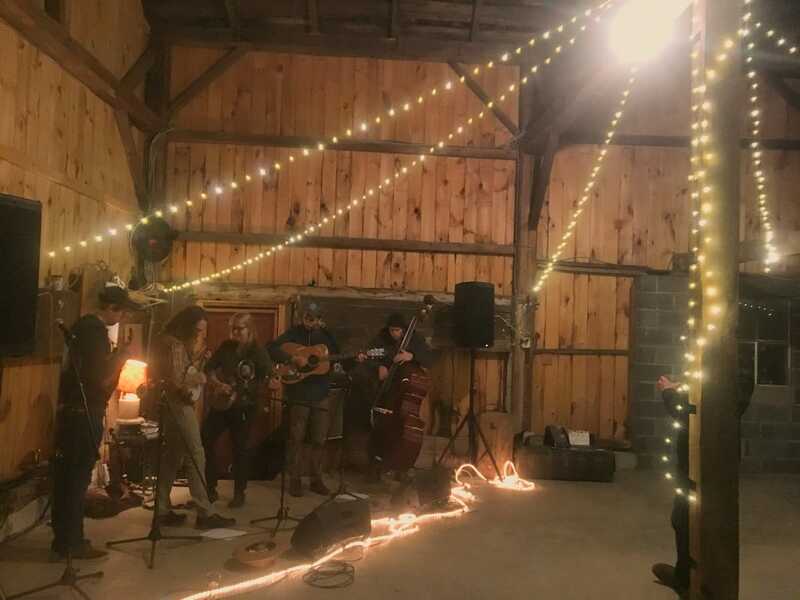 Another thing you should know about Wild Hill Farm is that we are committed to being financially sustainable, aka farm income should support the farm and farmer completely, and workload should be personally sustainable, aka no burnout! These goals keep us on our feet, guiding us to make decisions every day to be the absolute most efficient in all the tasks we do on the farm. We think creatively and we work smart, we don’t just work hard. It is essential that you understand our motives for making the whole CSA farm system run smoothly, because farming is so fun it’s easy to get distracted by things that might be less important! These are both full-time seasonal positions, beginning April 1st and ending Nov 1st, 2018. 40 hours a week, with somewhat flexible hours due to weather circumstances. There is the possibility of living rustically on the farm! We can fix up a camper for you to live in while you're here if you're ok roughing it! One of our other farm crew is also camping out next year, so you'll have a neighborhood in the woods. We have a composting toilet and an outdoor kitchen. You must have your own vehicle, as there are no real amenities in our hamlet. You may use any excess farm produce for your own consumption. We encourage you to come back for a second summer on the farm, to gain more experience, with a wage increase. Advanced skills include more tractor work, management of greenhouse, planting, cultivation, and harvest, CSA member management, supervision of volunteers and workers, and all skills necessary to running a CSA farm. If you think Wild Hill Farm might be a good fit for you we invite you to apply. Please supply us with the following information as soon as possible. We just want to get a sense of where you are coming from and why you want to learn to farm. If, after reviewing your information we think you might be a good fit we will contact you to set up a visit. Tell us about yourself, your interests, your long-range plans, why you want to work on THIS farm. What sort of physical shape are you in? Any special considerations we should know about (diet, health)? Do you have any previous related work experience? Tell us what you think of our program, our policies, and how you would fit into our farm. When would you be available? Any flexibility? Please provide 3 references we can contact regarding your learning and work style. Thanks for your interest in Wild Hill Farm. We look forward to hearing from you!